Apple’s iOS 12 update arrived for iPhones and iPads in September, introducing several new features that developers can take advantage of in their apps. Whether you’re a beginner that has never developed an app before, or you’re looking to update and improve an app to optimise it for iOS 12, we round up the best online courses here. You’ll need to learn Xcode 10 and Swift 4.2 in order to develop an app for iOS 12, and you may also want to learn how to make the most of ARKit2, CoreML2 and CreateML for artificial reality and machine learning. That may sound daunting, particularly if you’re completely new to coding, but by enrolling in an online course from Udemy you’ll find that you can go right back to basics or build on the Xcode and Swift knowledge from the comfort of your own home. For developers, iOS 12 is a pretty big deal. Apple has previously kept developers quite closed off from the operating system’s functionality, and it’s only in recent years that the company has begun opening some doors for third-party apps. 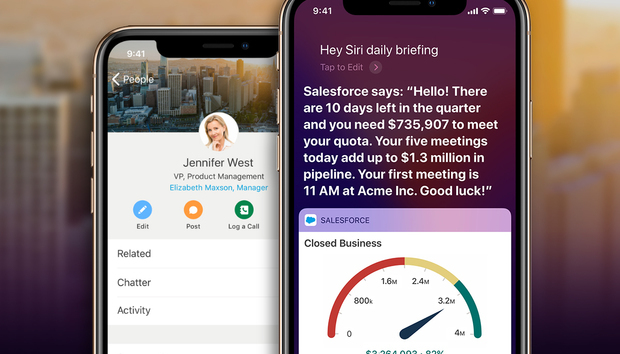 For example, at its Worldwide Developers Conference (WWDC) in June, Apple revealed that developers can now use Siri shortcuts in their apps, meaning voice commands can be integrated for the first time. Volkswagen has used this new ability to allow iPhone users to lock and unlock their cars with Siri. With its VW Car-Net app, iOS users can say "Hey Siri, lock my car" or "Hey Siri, how much fuel do I have left," as well as other commands. Plus, developers can now add their password requirements to Keychain, a password autofill feature available for Apple products. They can also send quiet notifications to users that’ll appear in their notification centre but won’t bother them on the lockscreen, and they can do so without asking for permission. Machine learning capabilities are now available for iOS developers using Apple’s Core ML SDK, and new Xcode lets developers run tests of apps across multiple device types thanks to parallel testing. These new features are great, but of course it means you’ll need to learn how to use them. Whether you’re a beginner that has never developed an app before, or you’re looking to update and improve an app to optimise it for iOS 12, an online course such as those available from Udemy will help. Right now, you can get the course for just £9.99 as part of Udemy’s Black Friday sale, and for that one-off payment you’ll get lifetime access to all of the course’s content. It’s made up of 116 articles and there are 54.5 hours of on-demand video. You’ll also get 27 downloadable resources. Combined, they’ll teach you how to build an app from the ground up, including Augmented Reality apps using Apple’s ARKit2 and apps that use machine learning with CoreML2 and CreateML. You can use it to create a portfolio of apps that’ll help you apply for developer jobs, or to start up your own app-based business. In addition to lectures and tutorials, you’ll be faced with coding challenges to put your knowledge to the test. You can preview the course before you buy on Udemy’s website here, and there’s a 30-day money-back guarantee available that you can take advantage of if you’re not entirely sure whether the course is right for you.